Surfrider Spirit Sessions is a non-profit that has a fascinating story, and needed to tell it in a very visual way. 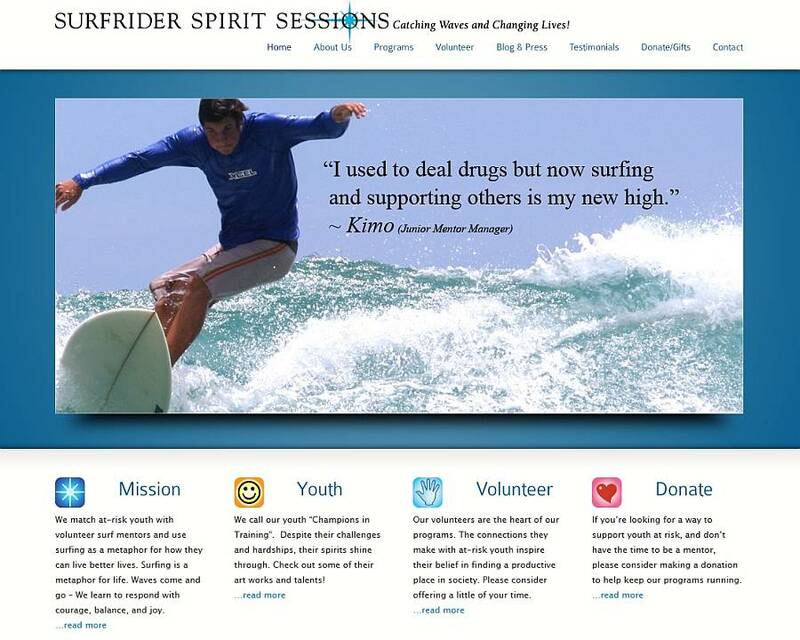 A few seconds of watching their new home page slider shows how they use surfing to create a new start for troubled teens. The site is bright, the colors hopeful, and the images really add to the interest level of visitors.